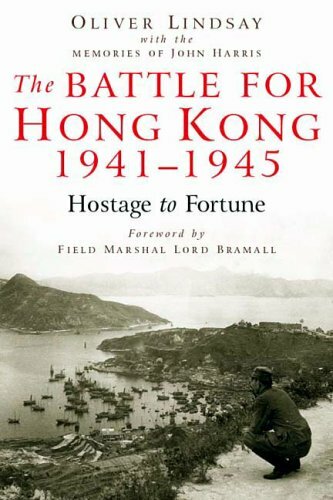 Published to coincide with the 60th anniversary of liberation of Hong Kong and VJ Day, this is the authoritative account of how the British, Canadian, Indian and Chinese defenders surrendered Hong Kong to the Japanese after 18 days of intense fighting, on Christmas Day, 1941. The nightmare of the Japanese invasion of Hong Kong and a remarkable story of endurance and courage under appalling conditions, with vivid descriptions of life as a prisoner of the Japanese. Illuminated by a then architectural student's extraordinary story: a 'civilian's' insight of war although pitch-forked into battles as a young subaltern in the Royal Engineers. The award of one VC and four George Crosses in one small theatre of war is unique. A story of espionage, betrayal and heroism - was the senior British Intelligence office helping the Japanese? Thoroughly researched, with exceptional access to war diaries and graphically written personal accounts, superbly told by an expert authority. The book also covers the activities of the British Army Aid Group (BAAG), the cover name of those spying in Southeast Asia; their extraordinarily successful activities suddenly collapsed with catastrophic repercussions for many. Colonel Oliver Lindsay CBE FRHistS (Dorset) who lived in Hong Kong, is a military historian, author and book reviewer. He has written two previous well received, books on Hong Kong, The Lasting Honour: The Fall of Hong Kong, 1941 and At the Going Down of the Sun: Hong Kong and SE Asia, 1941-1945. John Harris TD (London) became a highly distinguished architect and is now aged 85. He was the former Chairman of the Argyle Street POW Association, having experienced life as a prisoner of the Japanese.